This suit is designed for people whose height is about 5.9ft/1.8m. Specially designed for Photo or Video Special Effects. It is believed that post-production plays an important role during the whole process of digital photography. 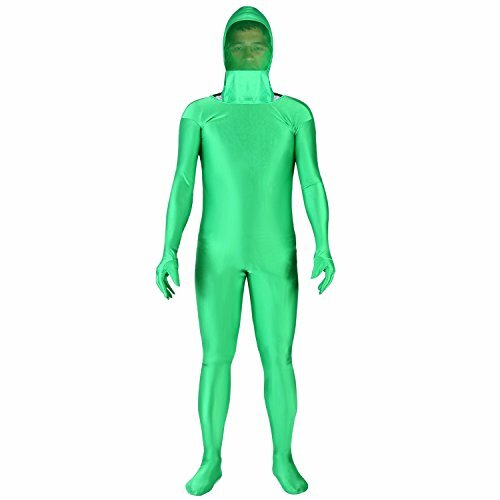 You need the photo video green suit to reduce the workload of the post-production because people who wear this can be "invisible", which means they can be easily erased by computer software. Don't worry about the breath problem. The material of the face part is special and it completely promises the air circulation. Foldable, portable and easy to carry.